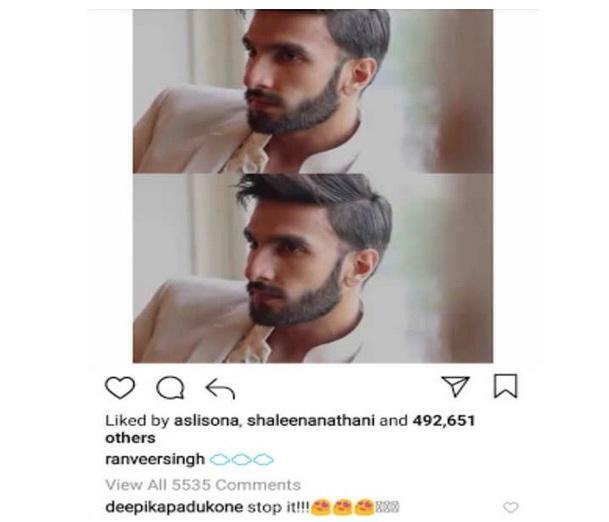 Ranveer could not stop himself from commenting on something very lovely in the picture. As the wedding season in the Bollywood has already started, we have a couple ready to get hitched on November 20 in a grand wedding ceremony in Italy. The couple has always been in love and never did they try to hide their feelings for one another. Be it performing live on the stage or interviewing media, they have always been the favourite love birds of Bollywood. Expressing their love for each other has always been a practice of the couple-to-be. They never leave a chance to for some PDA. Despite never speaking openly in the media about their relationship, they are quite vocal about their feelings on Instagram. 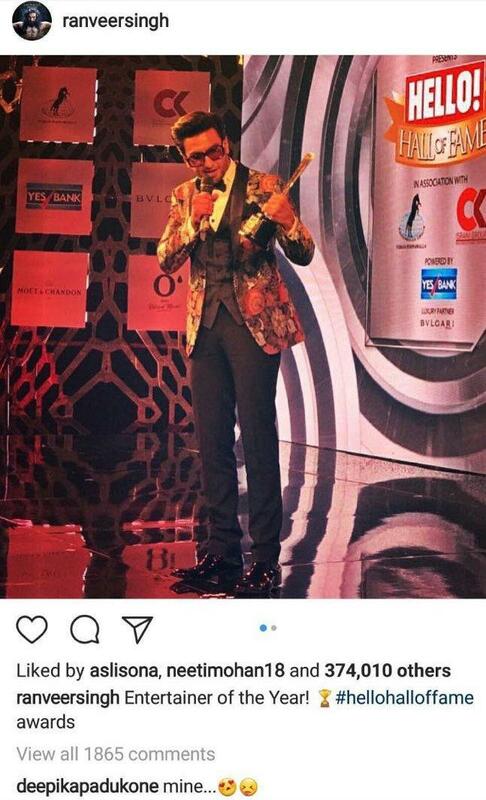 Their social media display of affection is legendary. As they keep commenting the cutest things on each other’s picture, we got to see one more example of the same a day ago on Deepika’s picture. 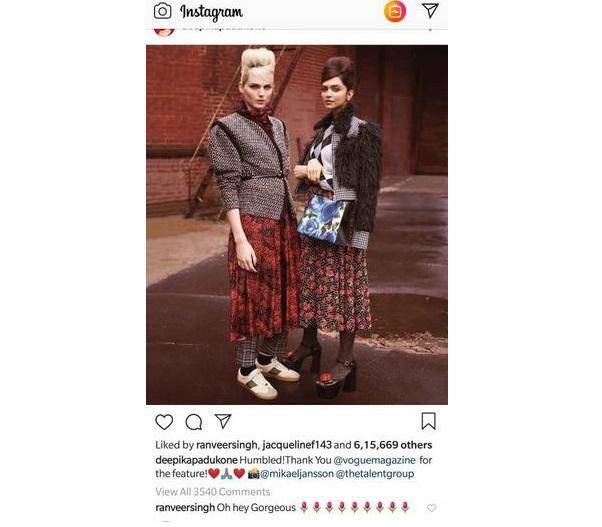 The actress posted a picture from the shoot of the Vogue Magazine photo-shoot, where he absolutely rocked the classic 90’s style with another model standing beside her. The gorgeous lady also keeps showing her love for the actor in almost every picture. Check out some of them yourself. The two of them have been together on screen and off screen from Goliyon Ki Raasleela – Ram Leela. This cute habit of PDA not only makes their day but makes our day too. And know they are about to get married, we can’t wait for some legit expression of love form their sides.